The lion may be King of the Jungle, but it is man who controls the empire in which the jungle lays. 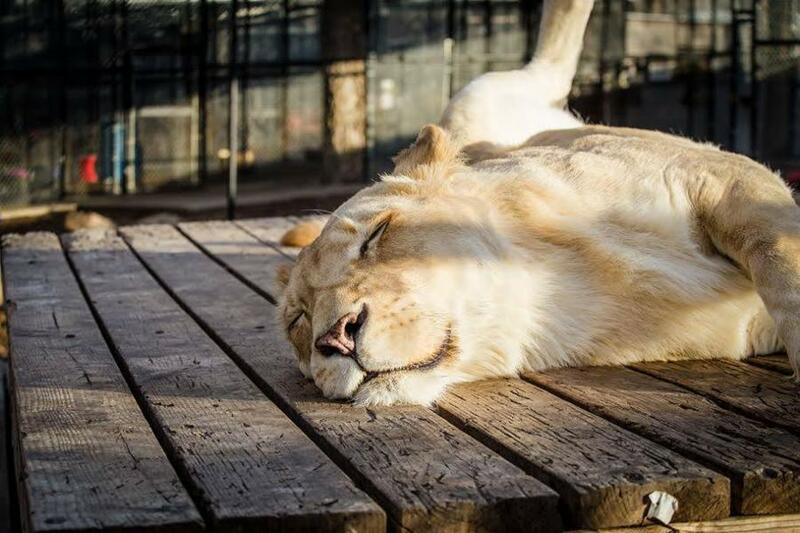 Sadly, for this lioness, it was man that ripped her out of the jungle and left her fighting for her life. Fortunately, it was man that helped her get through her pain and create something extraordinary with her life, too. 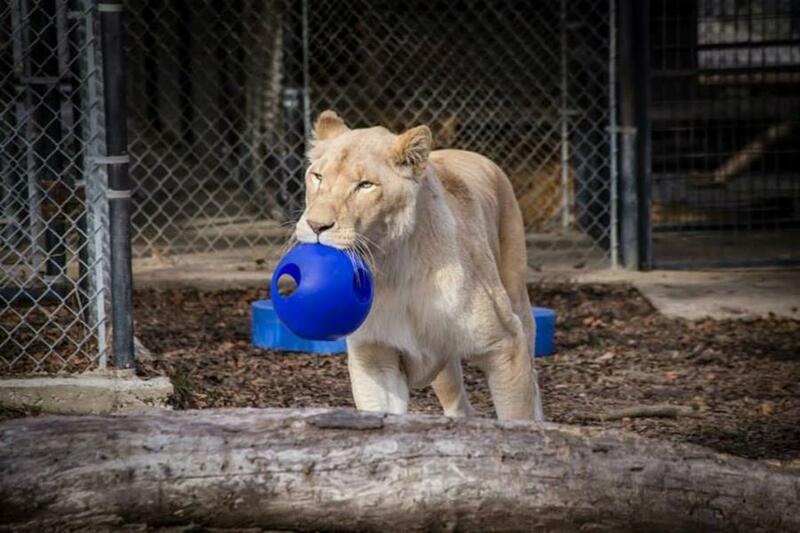 This story of Sheila the lioness is really quite something. Take a look at her face and see how gaunt and thin she looks. You won’t believe the journey she’s been on since that photo was taken. 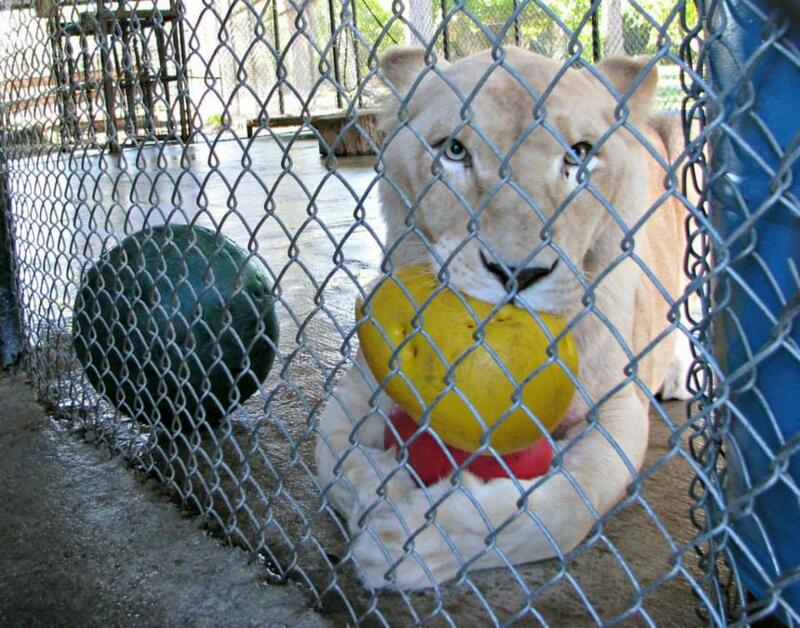 Sheila was a captured lioness. 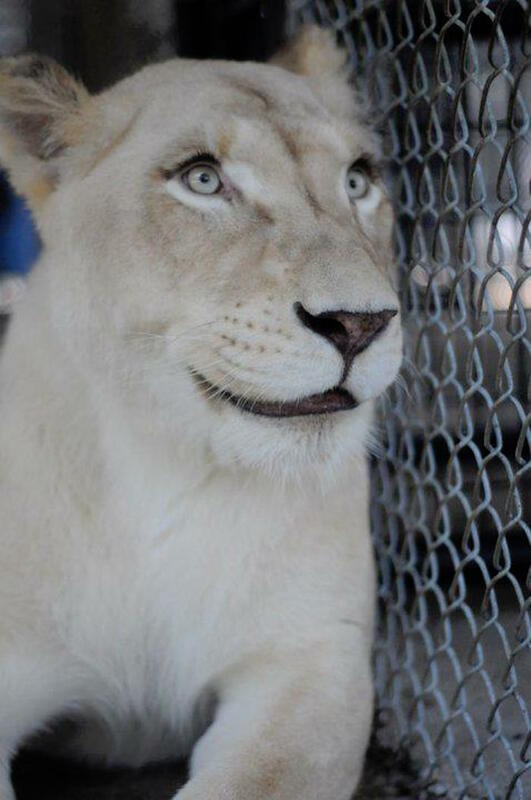 She’d been stolen from Africa to be kept as a pet/work animal in a private entertainment center in Texas. The center was not a caring environment and the US Department of Agriculture (USDA) raided it and found Sheila so badly neglected they thought that she would die. 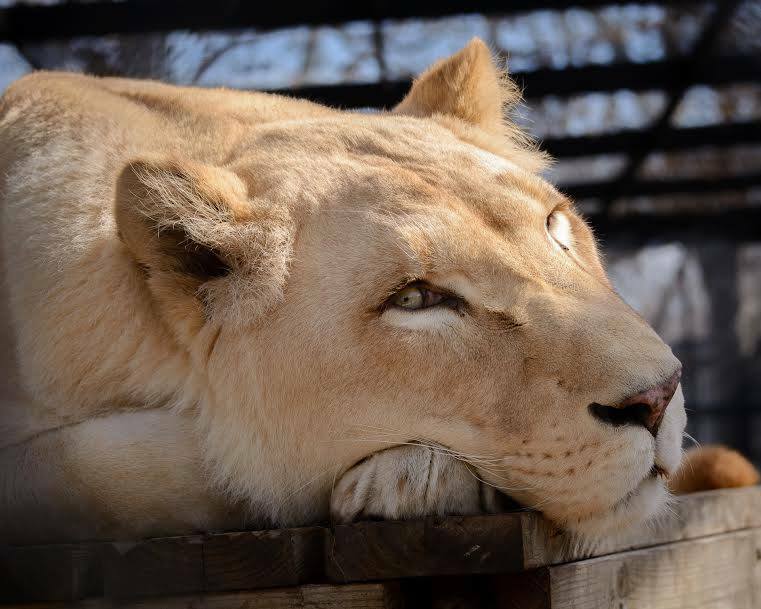 The USDA was so appalled by Sheila’s condition that they recommended that the In-Sync Exotics Wildlife Rescue and Educational Center in Wylie, Texas put her down. They felt that it would be more merciful than trying to treat her. Sheila could barely eat or drink or even walk. An In-Sync statement said, “She had very little muscle coordination, and thus when she walked, her legs would slip out from under her.” However, In-Sync refused to give up on Sheila and despite her shocking state they elected to care for her and try and nurse her back to health. In-Sync’s CEO Vicky Keahey was tasked with an important but risky role. She says, “For two weeks, I had to go in with Shiela and hand-feed her.” Sheila’s head wasn’t supporting itself properly on her shoulders and was dragging down to the right. They had to jury rig her head over a water bucket to ensure she could drink. Sheila’s story, sadly, is not unique. There is a large trade in exotic animals in the United States and the trade often results in severe harm to the animals. This is partly during transport because the trade is illegal and partly at the hands of either inept or cruel new keepers.